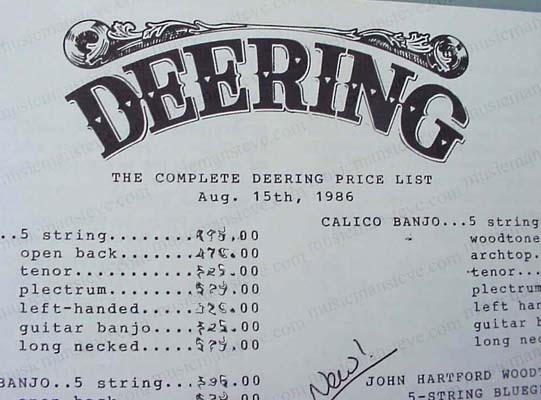 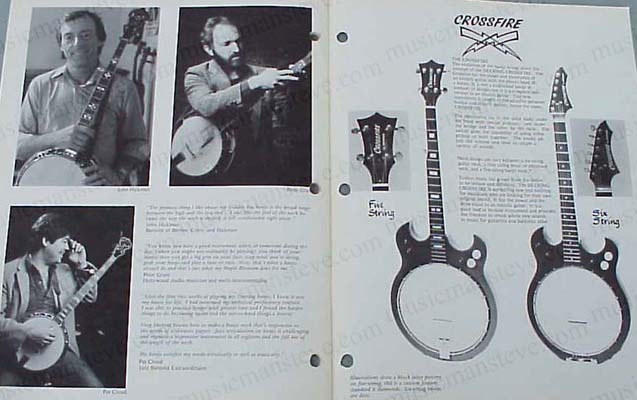 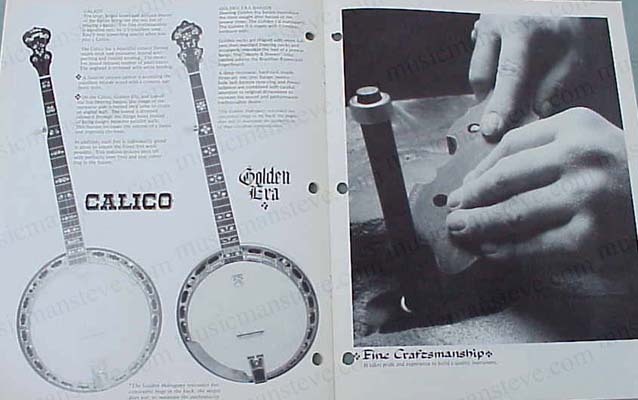 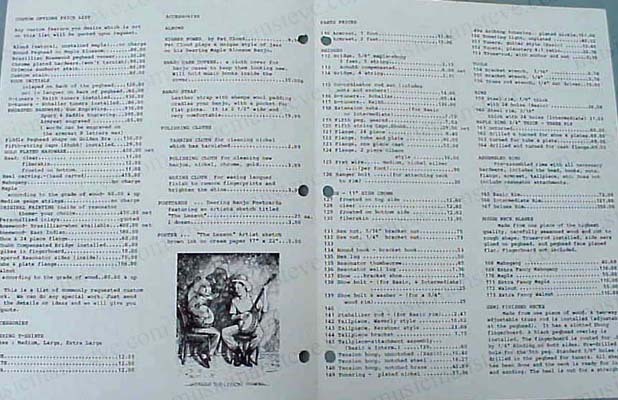 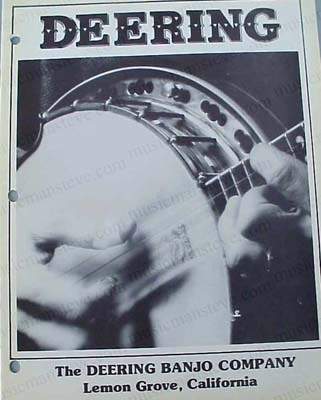 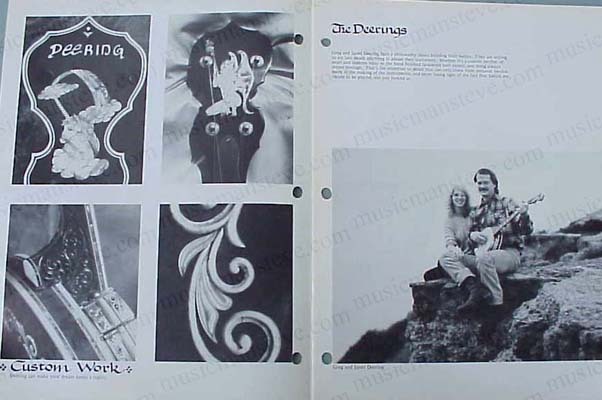 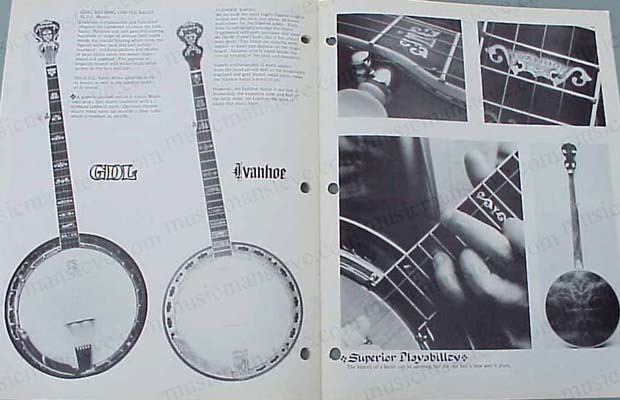 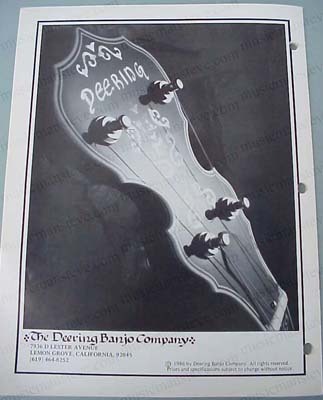 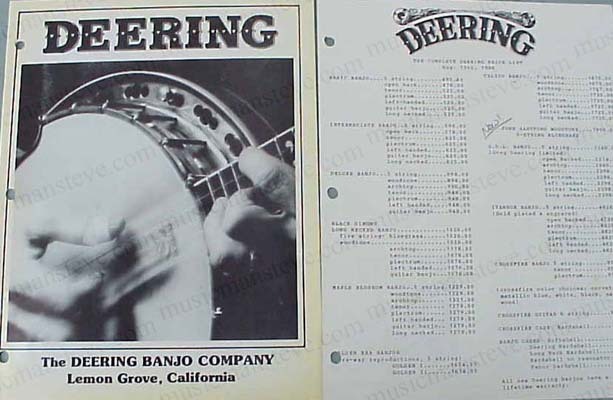 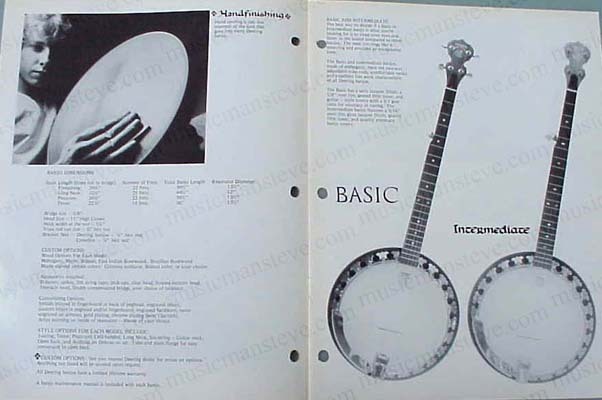 Offering the original 8 1/2" x 11" black/white 15-page catalog and complete price list from the early days of this Lemon Grove, California banjo company. 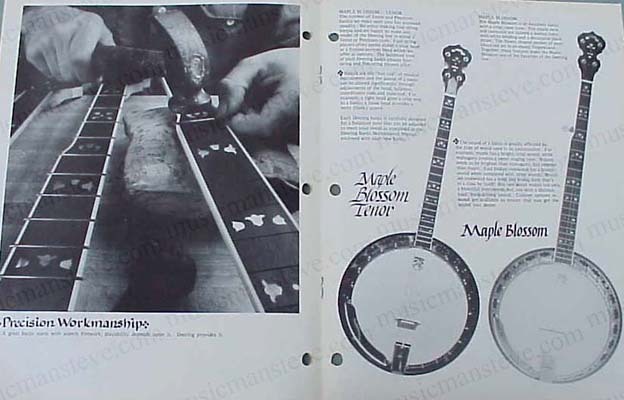 Loose-leaf holes punched. 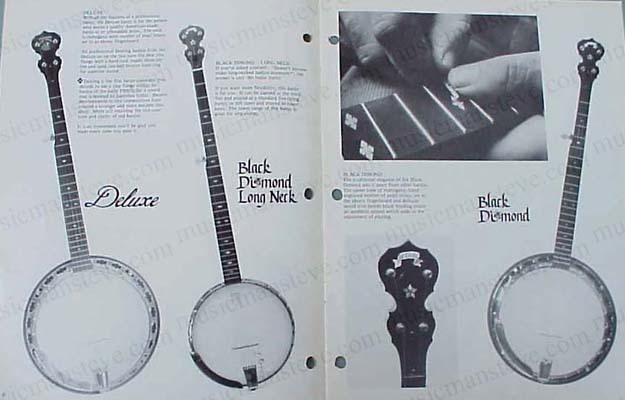 Basic, Intermediate, Deluxe, Black Diamond Long Neck, Black Diamond, Maple Blossom Tenor,Maple Blossom, Calico, Golden Era, GDL, Ivanhoe and Crossfire as well as endorsers........... .........a great resource.